Your opinions matter to us. 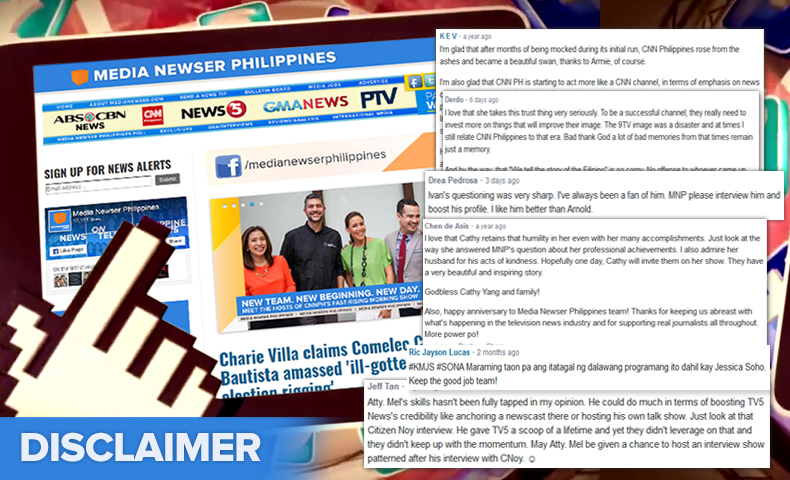 That's the reason why we allow you to comment on stories we publish here on Media Newser Philippines. We hope that through our comment box, we will draw together insightful comments and create a room for intelligent and civil discussions. We encourage YOU (our readers) to keep your comments constructive, respective and always stay on-topic. Please avoid profanity, name-calling and personal insults, not to mention trolling, or we will take whatever actions we feel necessary to address any misbehavior, such as deletion or banning. Remember: Your comments are your own and you should be solely responsible for what you write.